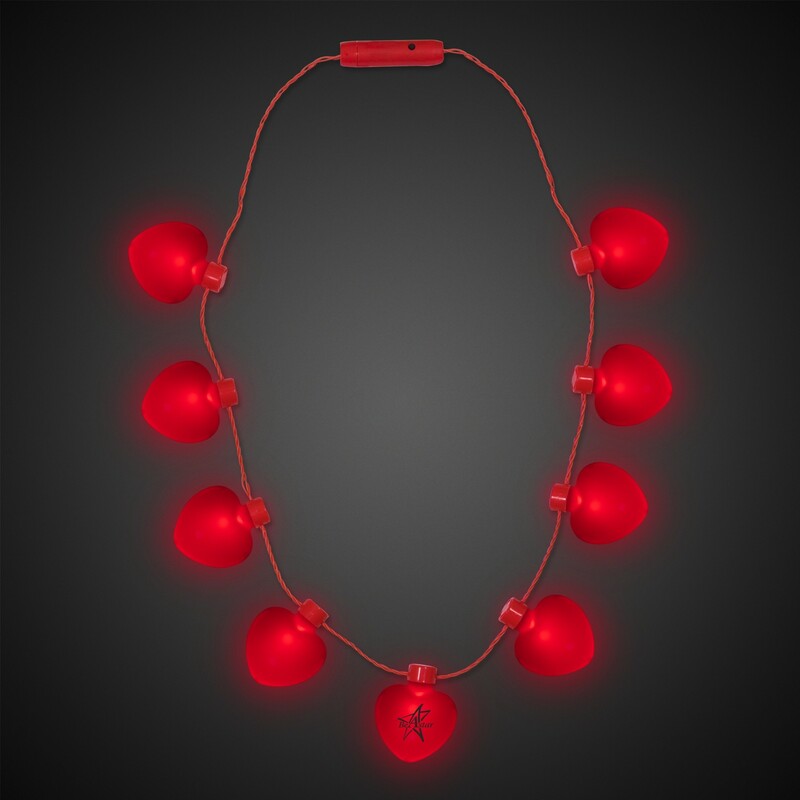 Our bright multi-flashing Red Heart LED Necklace is a perfect addition to your Valentine's Day, Casino Night or whenever hearts and red fit your party themes. 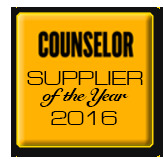 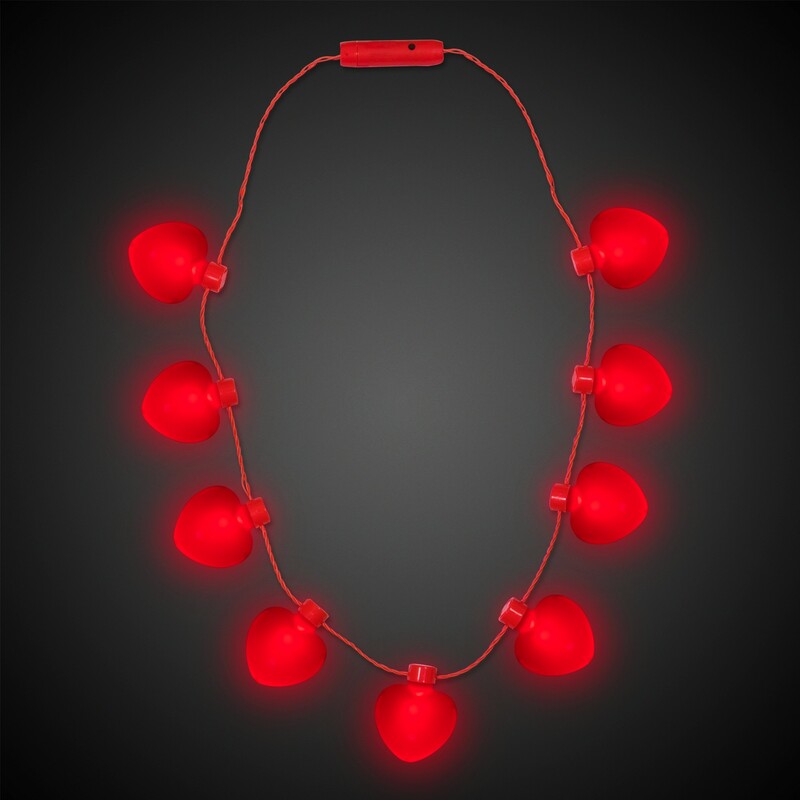 Great as a party favor, or for nighttime vending events and looks amazing during the daytime as well. 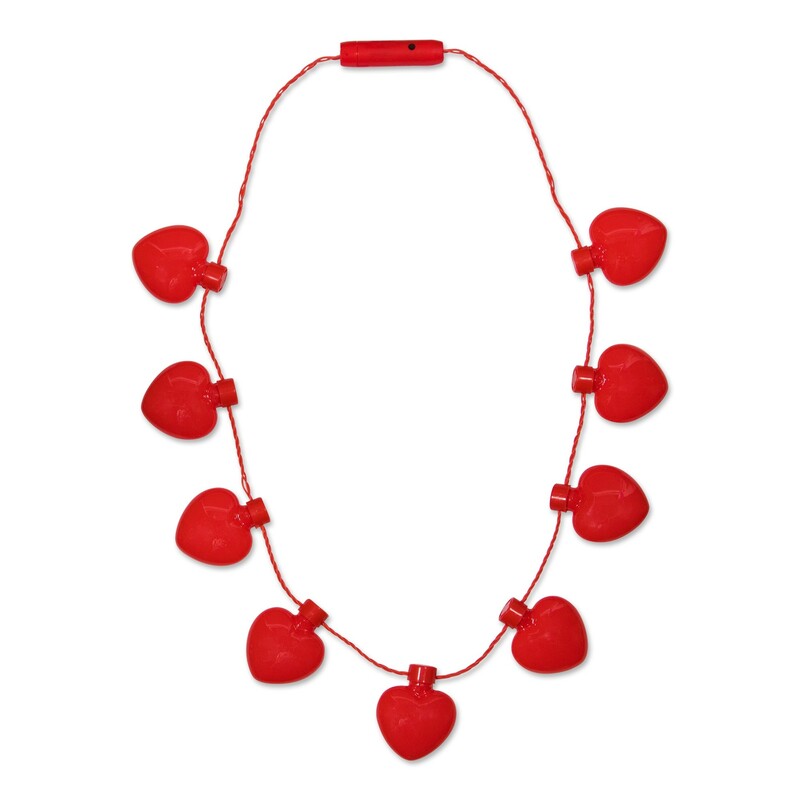 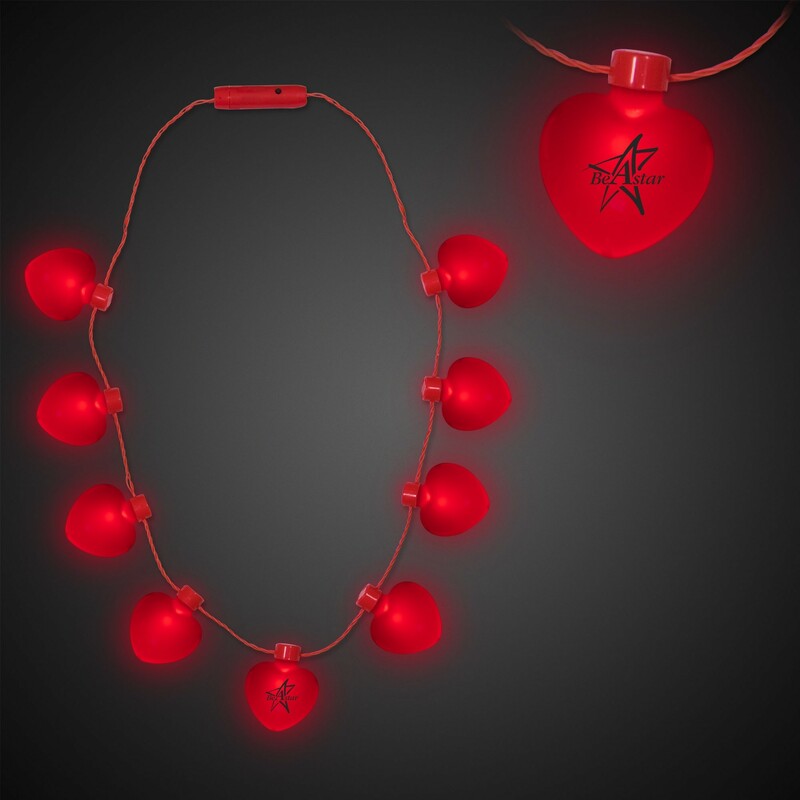 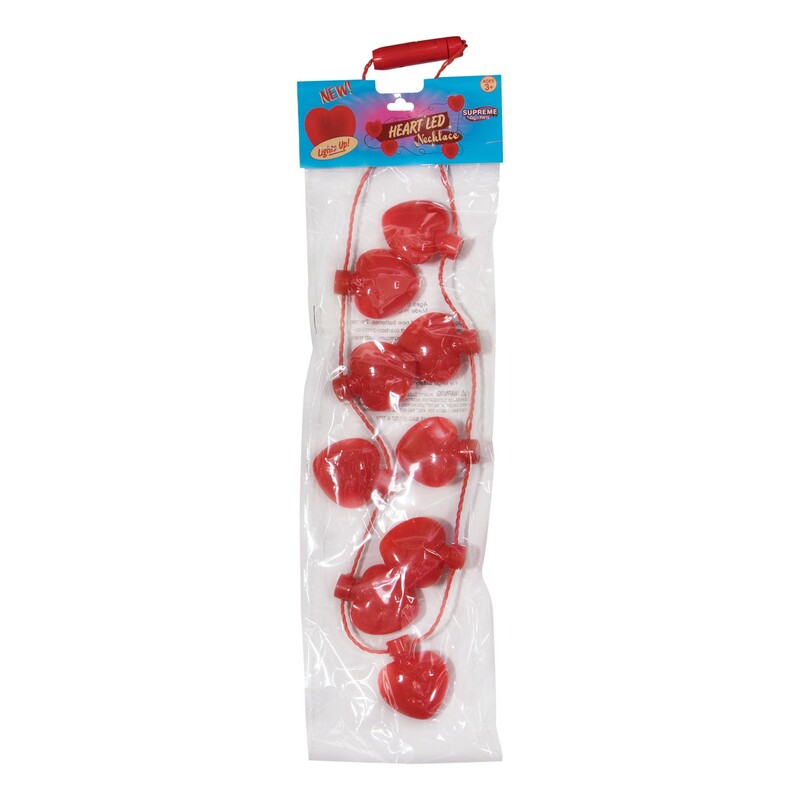 Each dazzling 40" Red Heart LED Necklace comes with 9 - 2.5" LED hearts in its own retail ready bag and is powered by 3 replaceable AG13 batteries, included and installed.